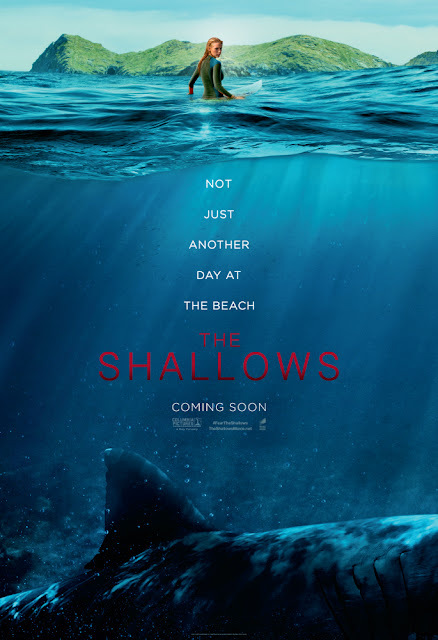 Critics have described "The Shallows" as the next big shark attack movie since "Jaws" and I personally think they have have described it so accurately, even the minimalist feels while watching the movie will make you literally move to your seats due to the thrills, suspense, and excitement. "The Shallows" is bigger, bolder, scarier, and a more convincing shark attack movie maybe because you will feel the emotions and momentum of watching it as you empathize with Blake Lively's character in the film. The movie will sink into your fear of the open sea. The realistic special effects has this immersive feels that will vividly reminds us about the dangers lurking not just in the deep but also in the shallow waters as well. Blake Lively gave a highly commendable performance in this bigger-than-horror-film thriller. "The Shallows" would make you catch your breathe even if you are just sitting in a movie theater. Overall, "The Shallows" gave us a thrill and adrenaline that we can only feel on suspense or horror films. Despite the limited resources of characters in the movie, Blake Lively's performance as the surfer gal, Nancy stands out that even she alone and the CGI shark will satisfy your thrill feel for the movie. A 9 out of 10 stars for superb entertainment value and thrilling experience as we watch the film. Watch "The Shallows" movie trailer below.